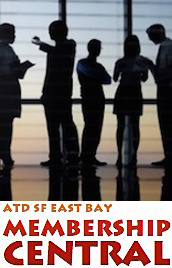 ATD SF East Bay - SAN RAMON | Sam Roberts "Leadership Decision-Making Assessments"
SAN RAMON | Sam Roberts "Leadership Decision-Making Assessments"
Please check back and attend a future meeting. Join ATD SF East Bay and Sam Roberts, consultant and executive coach to numerous Fortune 500 companies, who will guide us in a discussion on how a small front-end investment in assessment can save companies time and money. Participants who attend this session will leave knowing a little bit more about how the seemingly boring world of assessments can actually make their lives better, and save their companies money. You will hopefully feel a sense of amazement that tools like these assessments exist, and relief that the high-stakes world of business has an instrument that can measure with statistical validity and reliability dimensions of a leader’s decision-making process that were previously unavailable to coaches, consultants, HR directors, and learning & development specialists. Sam Roberts has given hundreds of workshops at many of the Fortune 500, as well as coached executives using the LDMA. Some of my client list include: Cisco, Abbott Labs, Disney, Oracle, Kaiser, UC Berkeley, and Stanford University. 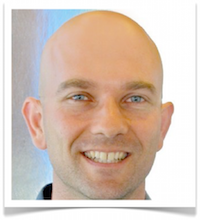 He is a executive coach and lives in the San Francisco Bay Area. For the past three years he has been a co-founder of reBio, LLC, a clean energy company based in Sonoma County, CA. Sam is a former Senior Associate at Barnes & Conti, Associates and has 15 years of experience coaching and consulting all levels within organizations. His primary interests reside in the fields of energy, healthcare, and education and he is a Lectical Consultant™ certified to use Lectical Assessments™, including the Leadership Decision-Making Assessment (LDMA). Sam holds a M.A. in Industrial & Organizational Psychology from Golden Gate University, a graduate level certificate in integral theory from John F. Kennedy University, and a B.A. from U.C. Berkeley in addition to having studied abroad at both Cambridge University and La Sorbonne, as well as the International Court of Justice in The Hague. He is married to his longtime love, Monique, and together they have two children. The things he used to do before he had kids are Aikido and Brazilian Ju-Jitsu, dancing, short story writing, and sleeping eight hours a night.